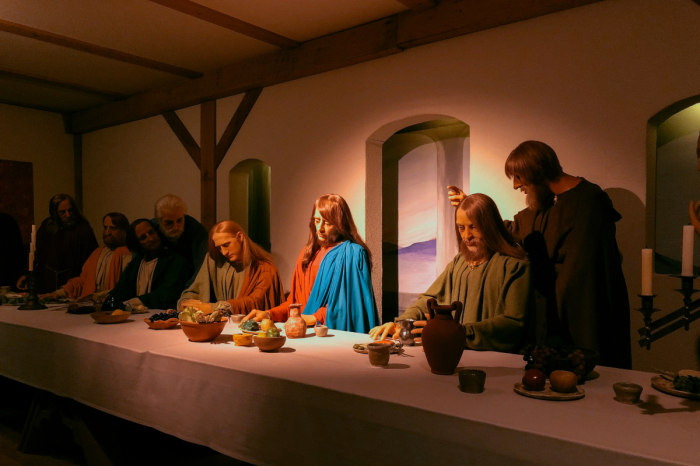 You could call it the biblical version of Madame Tussauds, the famous museum known for its wax figures of celebrities and other famous personalities. Part museum and part ministry, the BibleWalk Museum in rural Ohio is located halfway between Columbus and Cleveland in Mansfield (population 47,281). Typical of many towns in the Rust Belt, Mansfield’s best claim to fame is “The Shawshank Redemption,” the 1994 movie starring Tim Robbins and Morgan Freeman that was filmed locally. I will admit that before visiting I thought BibleWalk looked and sounded hokey, especially since it has gotten some publicity for repurposing wax figures of celebrities and famous personalities into biblical characters without changing the faces. The BibleWalk Museum is open year-round Monday to Saturday with limited visiting hours on Sunday in the months between April and October. Admission is, however, somewhat expensive with ahttps://www.christianpost.com/lifestyle/ohio-wax-museum-dedicated-to-bible.htmln adult ticket costing as much as $26.75.